An employee on a Norwegian Cruise Lines ship is counting his blessings after a "miraculous" rescue in the open waters off Cuba on Sunday. Carnival Cruise Lines announced they rescued the 33-year-old crew member from the Norwegian Getaway at about 2:15 p.m. on Sunday after Norwegian had reported the man missing the previous day. Carnival said a member of its crew spotted the man in the water and the ship turned around, lowered a life boat and rescued the overboard employee. The man had been in the water about 22 hours after going overboard and was found about 21 miles north of Cuba. 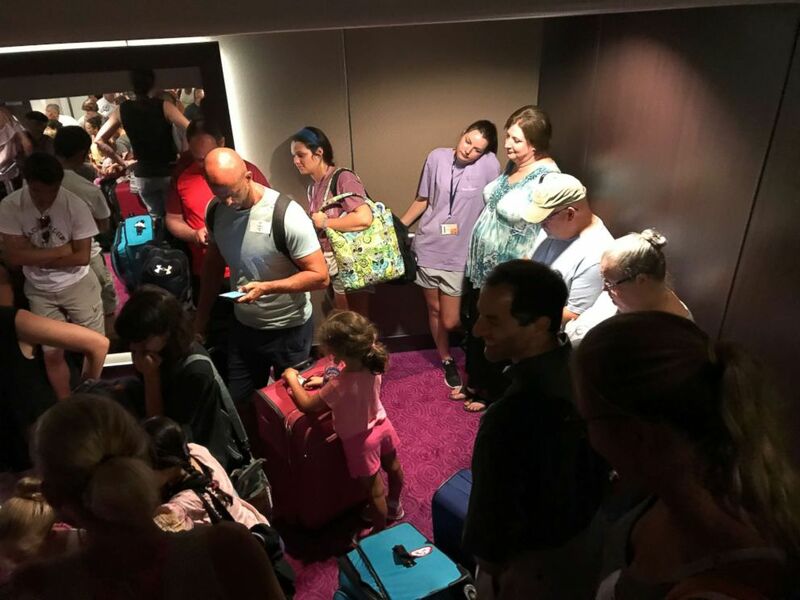 Passengers mill about the Norwegian Getaway while delayed during the search for a crew member who fell overboard on Saturday, June 30, 2018. He was listed in stable condition, according to the U.S. Coast Guard. "I was on the life boat and was part of the crew that pulled him out of the water," Carnival Glory safety officer Cesare Mattera said in an interview shared by the cruise line. "He was alright, but was obviously distressed from being in the water for so long. I am happy to report that after evaluation from our ship medical team, this person is stable and is recovering. We will be disembarking him when we arrive in Cozumel on Monday, for further treatment and care by Norwegian Cruise Line." Norwegian Cruise Lines had suspended its own search, in conjunction with the Coast Guard, as it became too dark on Saturday night. The Coast Guard said it searched an area of 1,630 square miles. The ship had been halted during the search, leading to a delayed itinerary. "We apologize for disturbing you at this moment, but it's time to give you an update on our situation. We have now decided to stop the search for our crew member and this is also made in cooperation with the U.S. Coast Guard. ... We feel we have covered the area quite well and unfortunately we could not find anything." 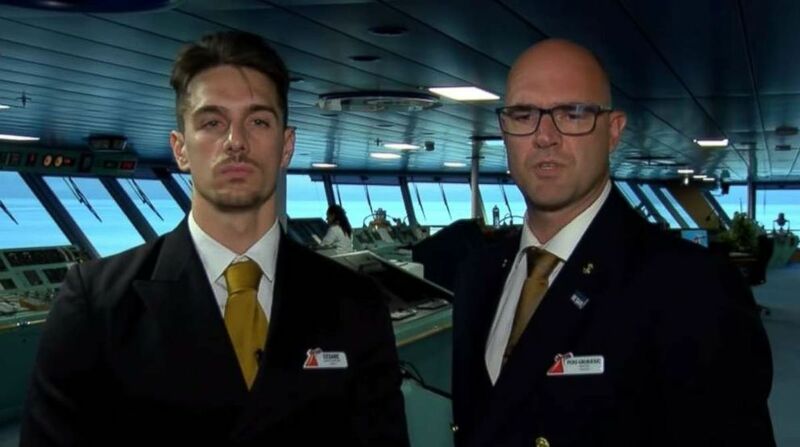 Carnival Glory Captain Pero Grubjesic and Safety Officer Cesare Mattera discuss the rescue of a crew member from a Norwegian cruise ship on Sunday, July 1, 2018. Norwegian thanked Carnival for recovering the employee and said he would be returned to shore soon. "Early yesterday morning a crew member went overboard as Norwegian Getaway made her way back to Miami," Norwegian said in a statement. "The Coast Guard was notified and a search and rescue operation ensued near western Cuba. Thankfully, the crew member was found by Carnival Glory and is reported to be in stable condition. We are so happy to know that the individual is safe and will soon be reunited with friends and family." The Carnival ship had been on its way to Cozumel, Mexico, at the time. ABC News' Darren Reynolds, Josh Hoyos and Amanda Maile contributed to this report.